[Marty]: Corey, as one who has been extremely successful as an online marketer, please tell us how you got started using the Internet as a marketing tool. [Corey]: I started marketing online in the fall of 1994. It was quite a fluke. In my course, I explain that we published my book, "Car Secrets Revealed", and started selling it offline. The results were pathetic. We thought we had a winning formula and it was barely breaking even. I spent about $20,000 offline trying to promote it... and it flopped. I took the advice of a friend that was setting up an automotive site on the net and he helped me get a very simple web page online. I saw a few sales trickle in and then took more interest in it, promoting the book online in my spare time. [Marty]: What are some of the online ventures you are involved in? [Corey]: I own four different businesses that now generate over $5,200,000 in online sales every year. I have interests in many other online projects, as I have done work for clients for a portion of the profits I generate. I also have a clientele base that hires me for online business advice at $640 per hour. [Marty]: Your book "Car Secrets Revealed" has done very well for you online. Can you give some details on it? [Corey]: Car Secrets Revealed was my first success on the net. Within 9 months of truly starting to promote it heavily, it became the #1 best selling car book online (using the unique promotional techniques I teach). It generated over $140,000 in net profit in those months. To this day (almost 3 years later), it is still the #1 best selling car book on the Internet. The site is at http://www.carsecrets.com/ if you want to check it out. Everything I put on the page and everything I say is there for a reason... We have tried many different web page designs and concepts, and this one works the best (I explain why in my Internet Marketing course at: http://www.marketingtips.com. I can't explain it here, as it would fill up about 20 pages to cover just the details on that topic alone). [Marty]: You were recently on the Maury Povich TV show in connection with your businesses. Can you recap for those of us that missed it? [Corey]: There is not much to say. Basically, because of my exposure on the Internet and having the #1 best selling car book online, they found me through the net and invited me to appear on the show as their "car expert" to explain a few tips and secrets to their viewing audience on car buying and the shams and scams with car repairs. It was a good interview, but what a long flight back... 10 hours on a plane. Whew! [Marty]: How long did it take your first online venture to start making a profit? [Corey]: The first month the sales trickled in, so I technically made a profit within 30 days... but nothing to live off of. Since I was one of the first group of commercial businesses online... there was a lot of "trying everything", so it took me almost 18 months before I started to see a full-time income. I spent literally 12-14 hours a day, 7 days a week trying different techniques, copy, and ideas online. Now that I know most every trick and tip there is, I can literally take almost any business online and make it turn a very healthy profit in a few months. As more and more people got online, many of the standard marketing techniques were getting overused and becoming ineffective... so I developed "twists" to most of them to ensure they still made a profit when everyone was using the "regular" approaches to online marketing. The results: the techniques I use to market online are very unique. [Marty]: How did you learn about what it takes to succeed? [Corey]: At first a lot of trial and error. I took a lot of the concepts and ideas I got from the very expensive seminars I used to attend and material I bought (I was a Jay Abraham, Gary Halbert and Ted Nicholas fan, and most of their seminars were $7000 and up.) I took those ideas - and with a little ingenuity and creativity - adapted them to the net (while in the midst of developing my own winning formulas for online success). I came up with formulas that work like wildfire online. [Marty]: I recognize the names of those other well-known direct marketers that you have learned from. It's apparent that your formulas work. Which avenues are paying off the best for you? [Corey]: I have never had an online business that *has not* made a very healthy profit. As I mentioned, my four online businesses combined now generate over $5,200,000 in sales online per year! And the beauty of it is that I started it myself as a one-man operation. I now have had to hire five employees to take care of the paper work and customer service... but have you ever heard of a retail business that has 5.2 million dollars in sales with only a few employees? No! They have at least 15-20 employees. That is the beauty of the net: you can automate everything so your overhead is incredibly low. [Marty]: What specific types of online tools are you using successfully? [Corey]: That is a very difficult question to answer, because there is no one tool that is responsible for making me a fortune online. I would teach you a marketing technique that will make you $1000 a month in net profit. You then automate that so it generates that $1000 whether you are there or not. You then move on to the next marketing technique, and it makes you $1500 a month. And once that is in place (which takes you about 2-3 weeks), you automated it and move on the next week, and so on. The concept here is that you are making small streams of income from many different directions (all of which are automated)... but if you add up those streams of income you are looking at $10,000 to $15,000 a month in net profit, which is over $100,000 a year. The best part is that if one technique fails because something on the net changes, you don't have to worry; you still have other streams of income that are making you money every month. [Marty]: Do you do all of your business online, or do your online marketing efforts supplement your off-line business efforts? [Corey]: 100% online. I am a specialist at online sales and marketing. I have become one of the most respected online marketers on the Internet... and for good reason: I can prove my successes. If someone asks me to help them with their magazine advertising, I simply tell them that there are better people than me out there for offline marketing and they should see them instead. I do what I do best... and that is online marketing, so I concentrate *all* my efforts on that! [Marty]: What mistakes have you made? [Corey]: There are so many, I would fill up your entire newsletter listing them. Let me just say that I have wasted hundreds of thousands of dollars trying techniques that did not work (but from everyone I learned something very important). But that is the "price of education" as I say. [Marty]: What major mistakes do you see other Internet entrepreneurs make? [Corey]: There are a lot of them and I discuss them in great detail in the course, but I will briefly mention a few here. Having an ineffective web site that does not turn visitors into sales. This is a very tricky thing to do (that most people do not understand), and I devote a lot of time in my course in how to make a web site profitable. Putting all your eggs in one basket. Trying one technique and thinking it will make you a fortune. You need to diversify your marketing efforts into different promotions to see which ones pull the most net profit, and then concentrate on those. Having a poor "sales process" in the marketing campaign. That is the manner in which you interest the client into coming to your site, then lead him into a good rapport with yourself, and then - and only then - asking for the order. Most people break the link at some point and lose the sale. That is why most sites only see one sale out of every 200-400 visitors (and some even worse). [Marty]: Are there any other tips or suggestions you would like to give others that want to profit from the Internet? [Corey]: Research, research, research.... Read/study everything you can on online marketing and learn about it before you jump in. For example, I hear stories every day about people that "heard" bulk emailing was very profitable. They may spend $1000 on the different software, only to find out they were doing it very ineffectively (for example, indiscriminately spamming, rather than ethically using bulk opt-in email) and don't make a single cent. Then there are other stories of online success with MLM... people spend months using the wrong techniques and end up not making a penny. The list just goes on and on. Make sure you understand what you are getting into with any business online so that your first attempt will be your success! [Marty]: I agree, Corey. Too many are trying to "re-invent the wheel" instead of learning how others before them have achieved success. I like how Benjamin Franklin put it, when he said: "An investment in knowledge always pays the best interest." Thanks for letting me interview you, Corey. Corey Rudl gets over 4 million visitors to his websites yearly, does 5.2 million dollars in sales online each year (yes, that is $5,200,000), and personally makes hundreds of thousands of dollars from his online businesses... all from his one small office. So listen to what he has to say as he knows what he is talking about when it comes to starting and promoting a business on the internet. 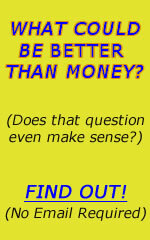 Visit his site at Internet Marketing Center® where he reveals all his unconventional tips, tricks and techniques with examples so you can learn the most efficient and fastest ways to make money on the internet.